Brilliant highchair. So many ways to adjust to make your little one comfy. 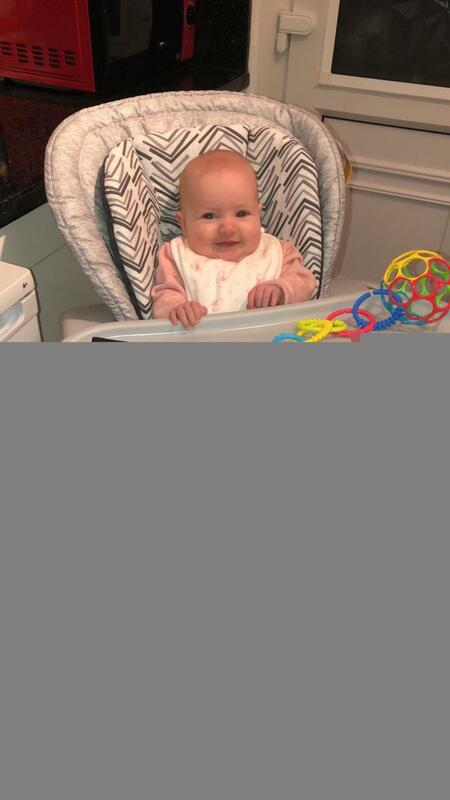 Best highchair I have had and my daughter loves being in it, so win win! Comfy for smaller babies and versatile. I love this high chair. My girl is only 3 months and I wanted a high chair for now so that she could sit in the kitchen while I make dinner up out of the dogs reach with toys in the tray to keep her occupied. I can’t wait til 6 months when she can use it for meals. It’s so comfy looking. It reclines nicely so my girl is comfy and the foot rest comes up so even the smallest babies don’t have to have dangling legs. The extra padded insert makes my little girl secure and can be removed when she gets bigger and the tray can be pushed in close enough for her to play with toys and stores on the back. It’s a pretty big chair but it does scissor fold and the tray can be clipped on to the back. I love it! Sturdy, Easy to clean & Clean. 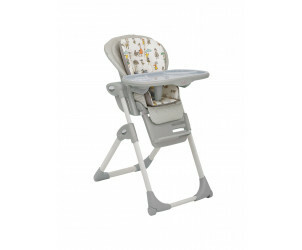 We have just purchased the Joie Khloe & Bert Mimzy LX highchair and absolutely love it. Very easy to clean over and easy to store away due to how compacted the highchair is. I find that this highchair is perfect for family sit down meals as the chair can be adjusted so baby can join us at the family table. 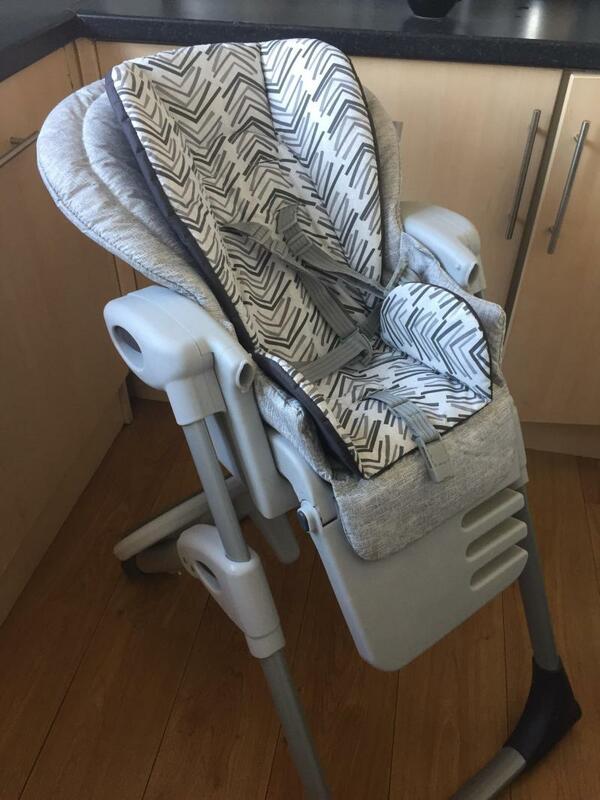 The highchair can also be reclined that i find very helpful and the material and straps are machine washable. The highchair also has wheels on the front legs to help moving the chair and folding down much easier. 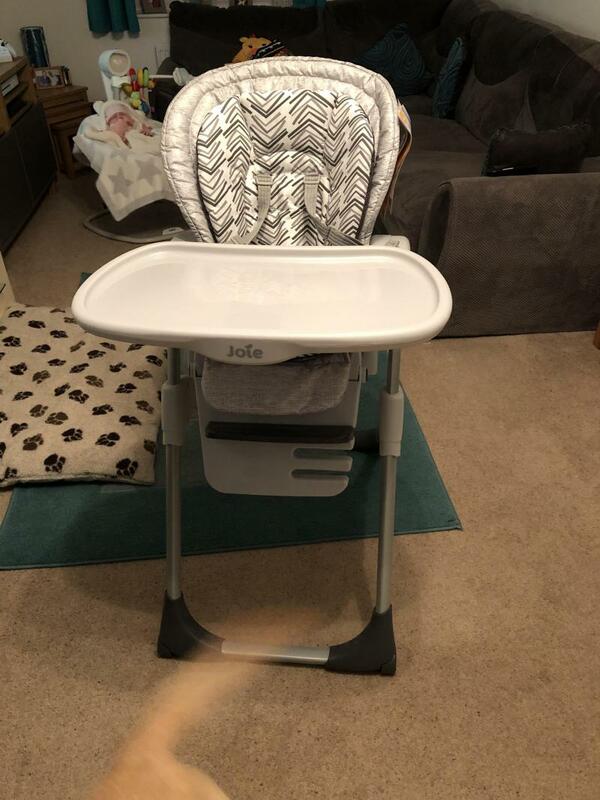 Very happy with this purchase and would recommend the Joie highchair to others who are looking for something very compacted and value for money. We are using this chair since my baby was big enough to seat for her meals and still using it when she's nearly 2.5 years old. Nice and big but folds so it doesn't take up much space which is a great feature. Tray is very nice and spacious so we are using it to play with painting and colouring too. Easy to clean. We bought this chair for our 8 months boy. And he loved. It's so comfortable for him. I feel he's safe in him. It's so easy to set up and clean. Nice design too. I have 3 children and I am a childminder so I have gone through some highchairs in my time and this is definitely my favourite. I love that you can adjust the height and remove the tray so my daughter can eat st the table with us. 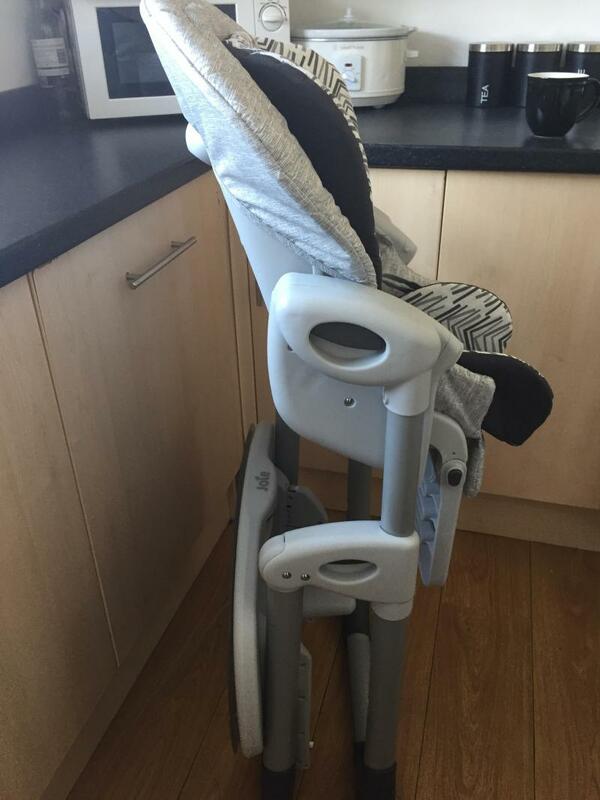 The high chair is easy to clean minus the straps however I use a solution of fairy liquid hot water and bicarbonate soda and a spoonful of vinegar and clean with a cloth and they cone up well. very cool. my child sits comfortably in it. nothing presses him or hurts. Tray is great- very good quality material.child can sit or be almost in a lying position plus it looks fantastic. Lots of secret compartments to hide food in! I got this high chair as everything else I have is from Joie and I trust their products! It’s easy to store with adjustable heights, wipes clean easily, straps can be removed and washed, tray to put baby’s legs up so you don’t get constantly kicked in the knees! It also has 3 recycling positions for easier feeding! Only down fall is there is lots of hidden compartments where food gets stuck and you don’t know about it! Other than that it’s amazing! Well worth the money! Also very lightweight as I have a really bad back and that’s something that’s important to me! Love my high chair, had it for about 1 1/2 years now! 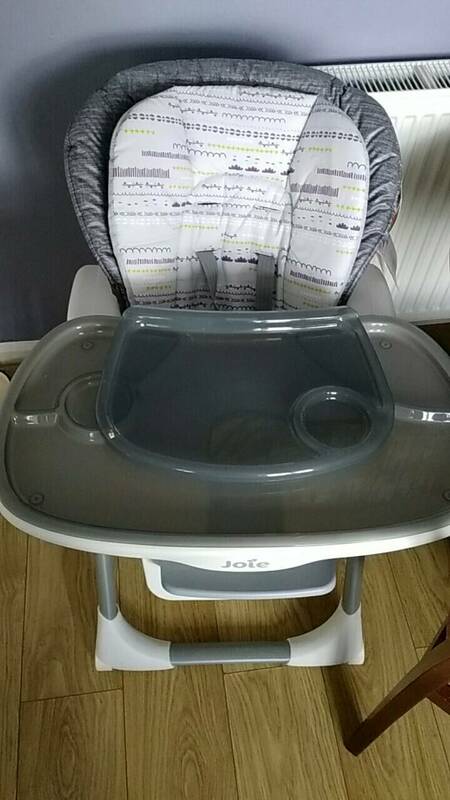 Well worth the investment, has so many awesome features, removable tray, height adjustable, comfy, a few different sized trays that clip over the main tray for easier reach for a younger baby, fabric and colour designs are always the best with joie, can be slightly bulky when folded. This high chair is amazing I had it for my youngest only problem is that u can get one that does everything this chair does but for a cheaper price n its a pain to clean other than that it's amazing so if you are not on a budget I'd go for it best one I've had up to now. Reclines and different height positions! Absolutely love this highchair and so does my daughter! It folds very compact and the tray is stored on the legs. The seat reclines and has adjustable height so it doesn’t matter what table my daughter is sitting up, she doesn’t look lost! This product is fab, it reclines in case your little ones fall asleep whilst eating because lets face it they always do. It is very easy to clean and the straps come off and and can be put into the washing machine and lets face it when your little one can get very messy when eating. We bought this solely for the reclining feature as we weaned our little one early. The inserts are so plushy, when he was younger he snuggled down and got super comfy at meal times. Now he's a little older the straps being so secure are a life safer. It's so easy to wipe clean or remove to washing machine. We love the height adjustable seat for eating with us at the table or against the sofa. Bought this highchair in preparation for weaning. It was easy to assemble. Very sturdy. Can be operated by one hand ideal for those moments you have a screaming baby in one arm and need to use the other to pull out the highchair. My daughter always seemed to cry when we would sit down to dinner but the three recline position enabled us to sit her at the table with us so she could join in family time too. It comes with two tray inserts which are dishwasher safe. They also clip on and off one handed. Great for serving snacks and have a drink holder. Wipeable/washable seat covers. And tray storage at back of highchair. 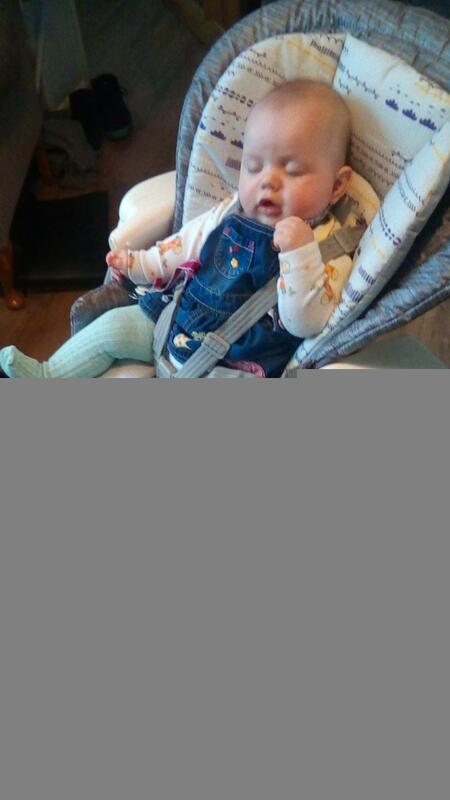 My daughter loves her highchair, she often sits in it whilst I’m busy in the kitchen. 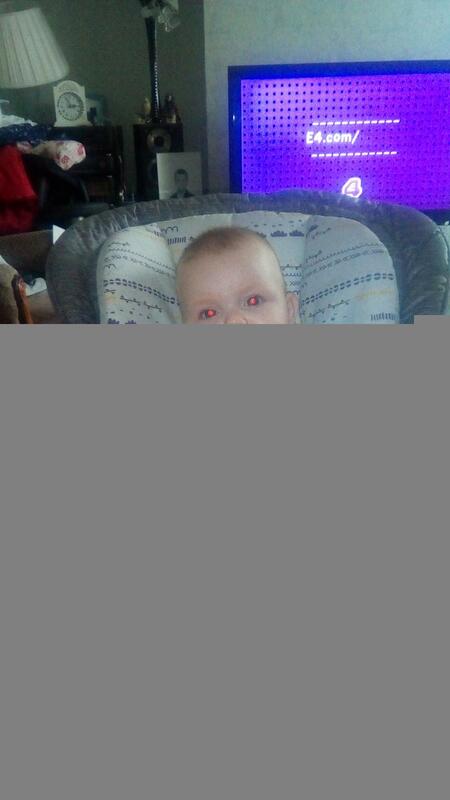 We’ve only just started weaning but there’s lots of room for her so I doubt that she will outgrow the highchair. Folds up nice and neatly so doesn’t take up loads of room when not in use. We have used this product for 4 months now. I don’t use the padded insert anymore, just the normal seat. I find it very annoying that food goes under the seat cushion and it’s hard to get out due to the way the seat folds. Twice a week I completely take it apart and bleach it. I wish now, that i had bought a wooden one. Love this high chair, it has a removable tray and height adjustment so my almost two year old doesn’t use the tray anymore and sits up at the table with it. Easy fold, easy to clean, stylish. We've been using the highchair for 9 months. My son has loved it since day one. Easy to build and once up easy to fold and use. The tray has two different clip on tray cover which are easy to clean and use. Easy to clean seat and easy to remove foot rest for cleaning. A quick wipe over does the trick every meal for us. My son will sit in it for ages, he sat through a 2 hour Christmas meal quite happily. Love the different height settings too. This was the second highchair we have purchased. First we bought a bloom fresco high chair and was less than impressed! Our son kept slipping down and screamed whenever we put him in it! This highchair however, he loves and the clip on trays make cleaning up after meals that much easier! The insert is washable and removable. There is an adjustable footrest and the adjustable height positions ensures that he can sit with us at the table. The highchair also folds up so storage is easy. 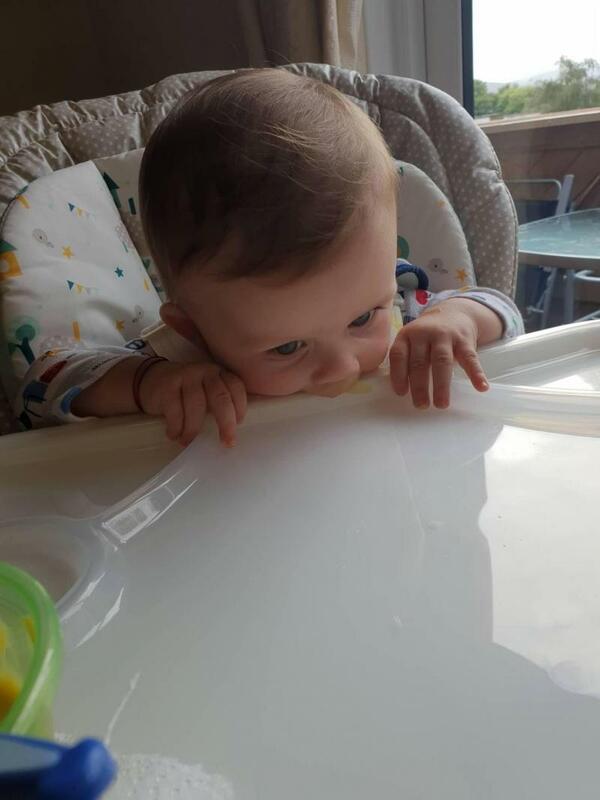 I absolutely love this highchair my little one looks so comfy in it there are 3 recline positions and 7 hight positions so perfect for any table or just as a seat beside the family it is easy to clean with extra dishwasher safe tray inserts. 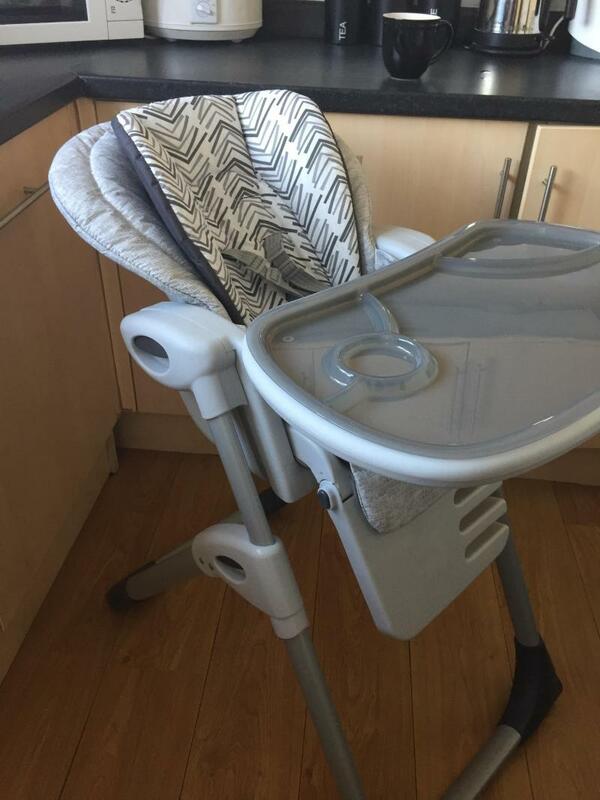 This highchair is amazing, the recline comes in handy for when daughter falls asleep halfway through lunch or dinner, it is however very bulky and large, not good for a crowded house. As your little one eats, so surely they will grow. The Mimzy LX highchair has multiple adjustments to ensure that it can grow with your child from 6 months to 3 years, and remain comfortable. Raise your child to the centre of attention in their own meal time throne which can sit at the table with you, thanks to its low profile frame. Modern, with its clean and smooth lines, it will fit right into your stylish interiors. You can trust the harness to keep your baby safe and secure, but also it is soft and gentle against your little one's skin. 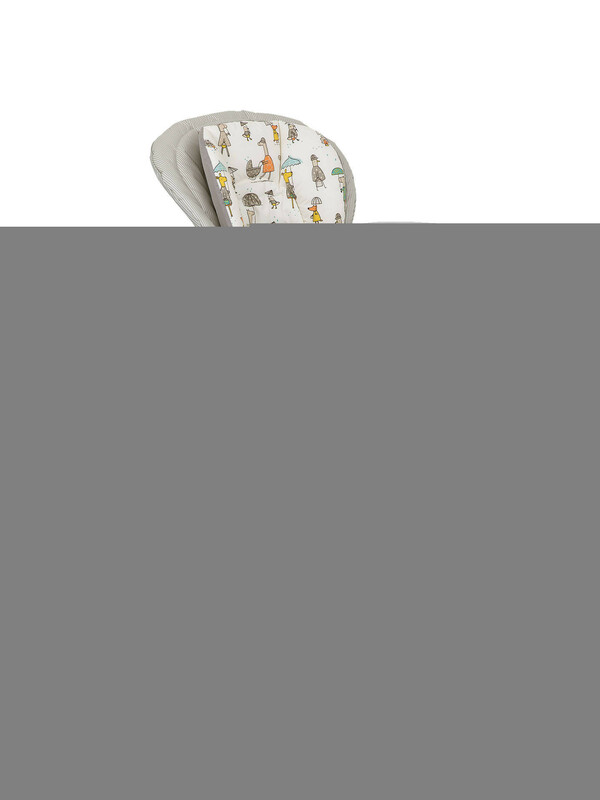 Complimented by the plush infant insert whilst required, diswasher safe tray, and fully wipeable and washable fabrics thereafter.